Do you ever get a whiff of your dog or cats potent breath? It is unpleasant and can actually be harmful to their health as well. 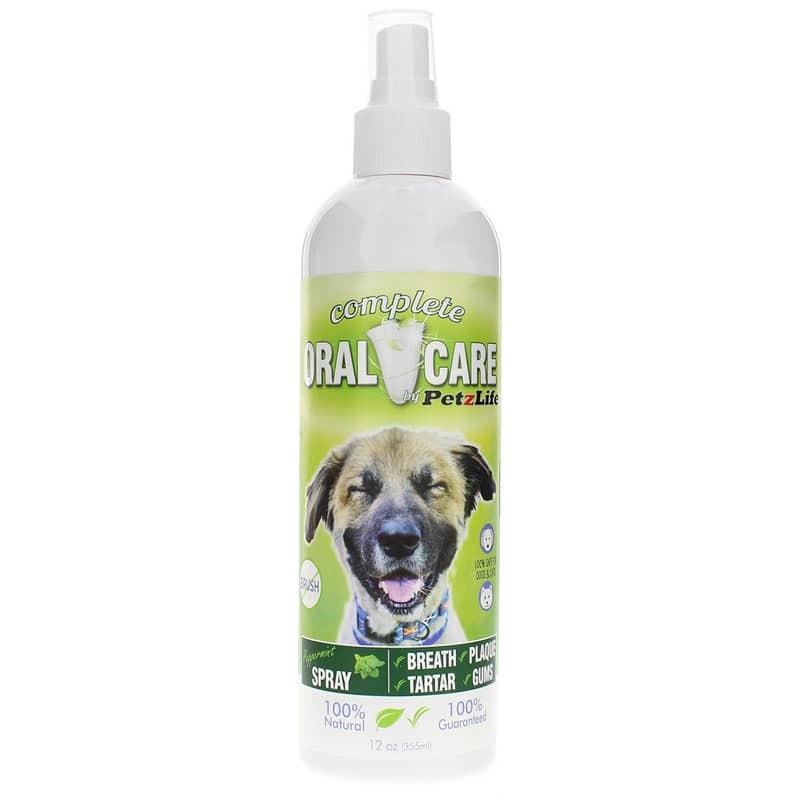 In addition to brushing your pets teeth, PetzLife offers Oral Care Spray. It is revolutionary product that may help in removing plaque and tartar from their teeth. 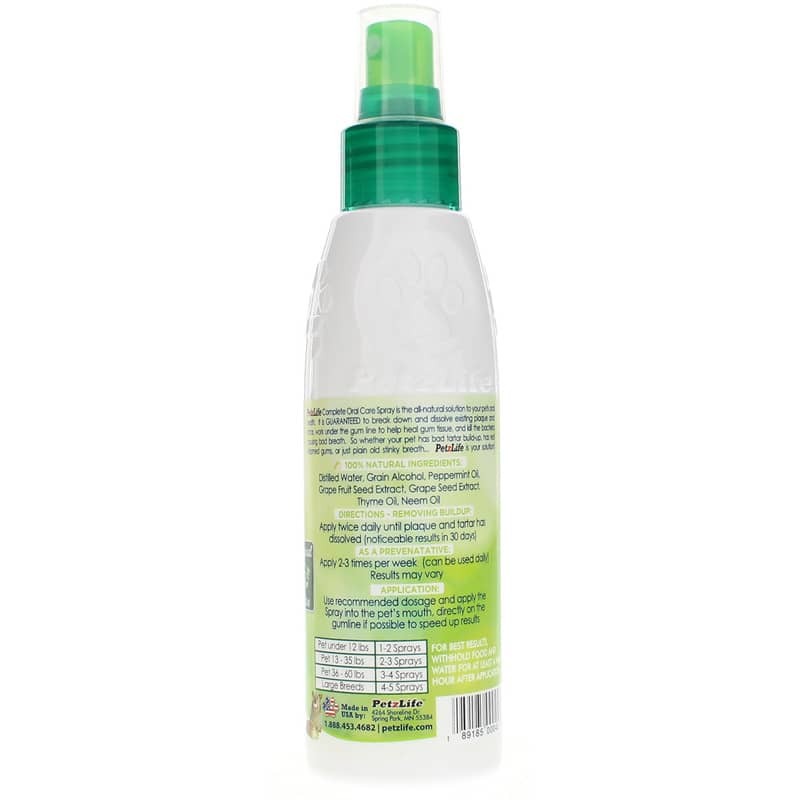 The spray also kills bacteria and attacks the main cause of your pets bad breath. 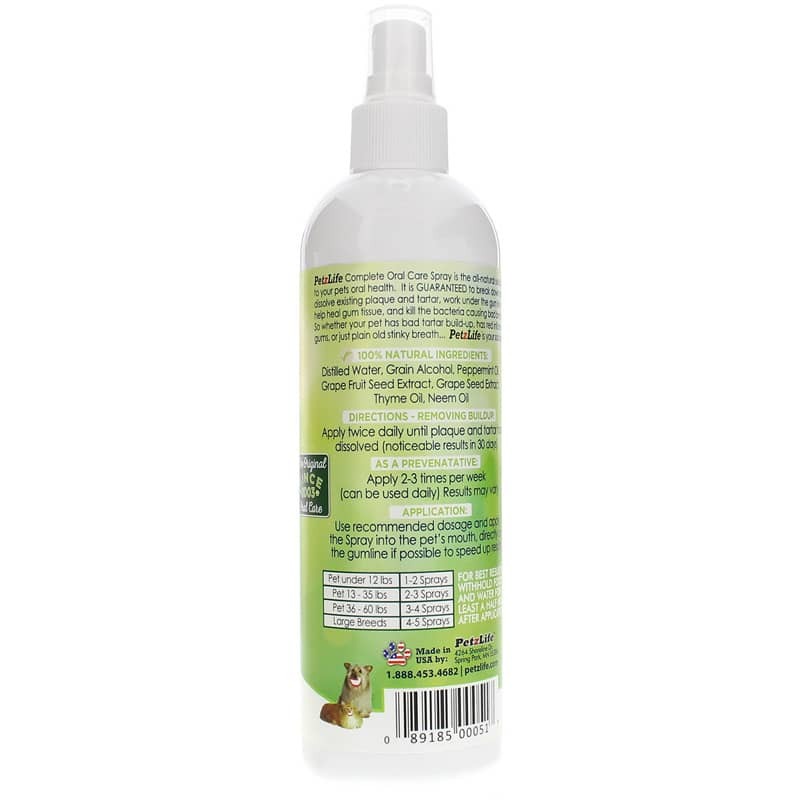 All of the ingredients in Oral Care Spray are perfectly useful for your pet. The main ingredient is grapefruit seed extract and is known as one of the best dental products. Don't let your pets experience bad breath. 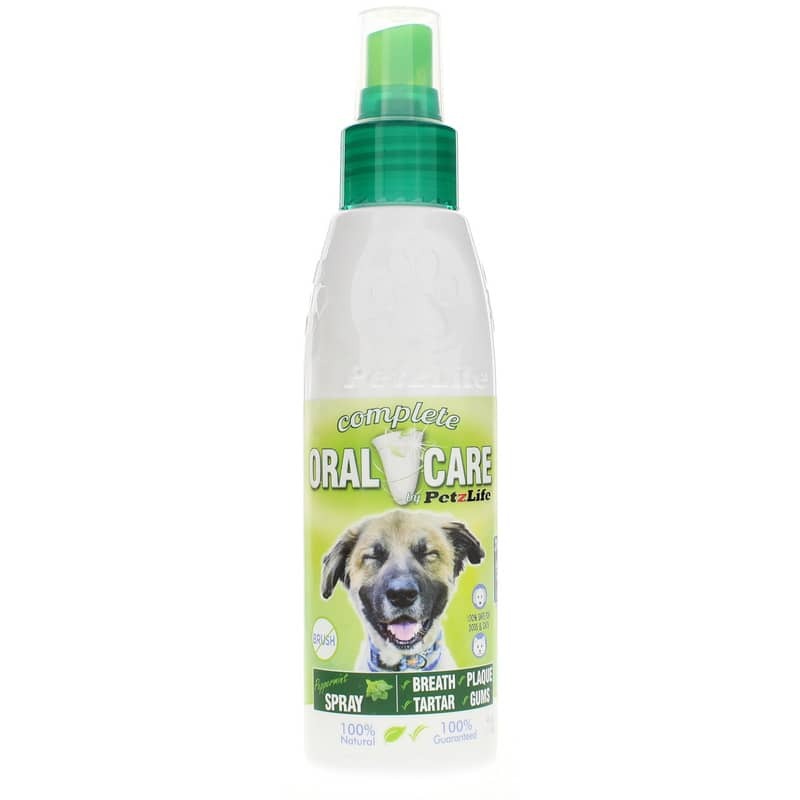 Freshen it naturally with Oral Care Spray by PetzLife. 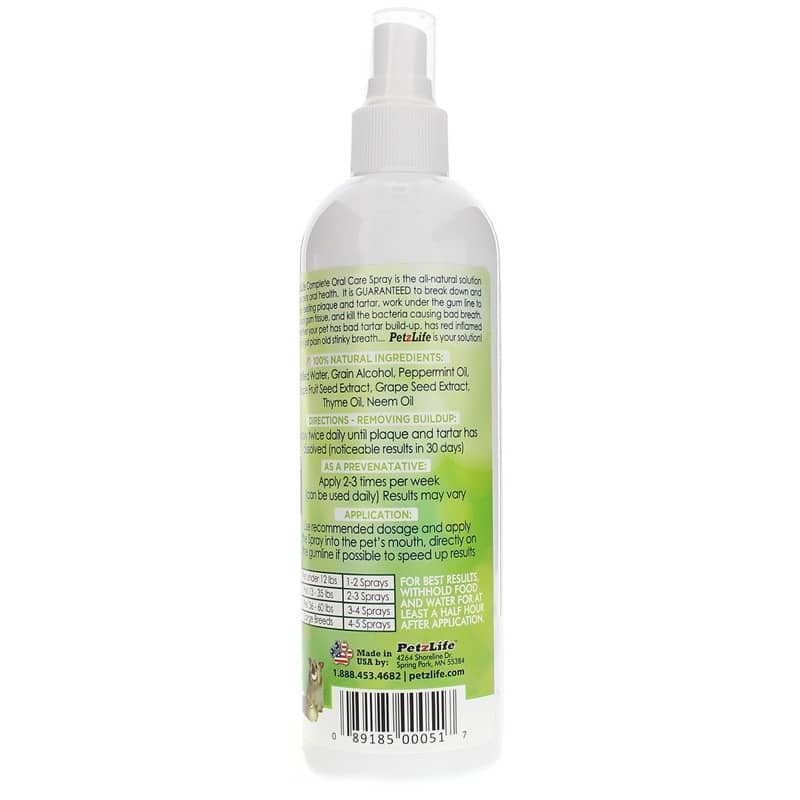 Distilled Water, Grain Alcohol, Peppermint Oil, Grape Fruit Seed Extract, Grape Seed Extract, Thyme Oil, Neem Oil. Removing buildup: Apply twice daily until plaque and tartar has dissolved. (noticeable results in 30 days). As a preventative: Apply 2-3 times per week (can be used daily). Results may vary. Application: Use recommended dosage and apply the spray into the pet's mouth directly on the gumline if possible to speed up results. For best results, withhold food and water for at least a half hour after application. I've used this product as directed for the past several weeks and have yet to see any improvement in my dogs teeth. It's no better than any of the other treatments on the market. My Vet has commented on how clean Bella's teeth remain even 6 months after cleaning. It is a relief to know that Bella does not have to have cleaning again this year. Between raw feeding and Oral Care Spray, my dogs, 8 and 10 yrs. old, have clean teeth and healthy looking gums.